What is now a $2.5 trillion industry managing money on behalf of public pensions and the like started as a hodgepodge of so-called leveraged buyout firms, popularized in the 1980s. Business Insider recently sat down with Sandra Horbach, the cohead of US buyouts at the $158 billion Carlyle Group, to get a sense of how the industry has changed. When I started in the business back in 1987, there were two firms with $1 billion in capital: KKR and Forstmann Little & Co.
Bain Capital started in 1984, Oak Hill in 1986 and Carlyle in 1987. The 90's brought Apollo, TPG, Silver Lake and Cerberus. Thirty years later, there are thousands of firms with billions in capital. So we've grown significantly as an industry in a very short period of time. When I joined Forstmann Little in 1987, right out of business school, it wasn't even an industry. We didn't call it private equity — it was leveraged buyouts. It was all about the love of finding great companies to work with and invest and help build. It wasn't about creating this mega industry that has since been created. her confession (which goes against the PEU party line). When I started in the business, there were a handful of small firms, five, 10 individuals basically looking for great opportunities to invest. Very little amounts of equity, a lot of leverage. And a lot of returns were created through financial engineering. The returns that you could realize back then were significant. You could realize five times, 10 times your money because you were putting smaller amounts of equity into the entire capital structure. Horbach confessed her love to "help build" was actually "financial engineering." She knows high leverage places a company at significant risk for default should conditions change. What was not mentioned in the BI interview? The widespread practice of affiliates issuing debt to pay the PEU sponsor a massive dividend. 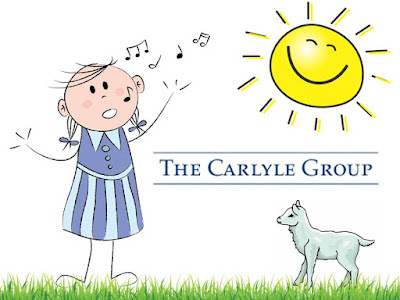 Horbach shared her "mistake", the implosion of Oriental Trading Company on Carlyle's watch. Horbach: "... two years into the investment we hit the great recession, and, simultaneously, the US postal office increased postage rates for catalogs"
BI: Those two factors seem a bit unpredictable. One the crisis, two the post office. Horbach: You're right. They were incredibly unpredictable. Horse hockey to both BI and Horbach. 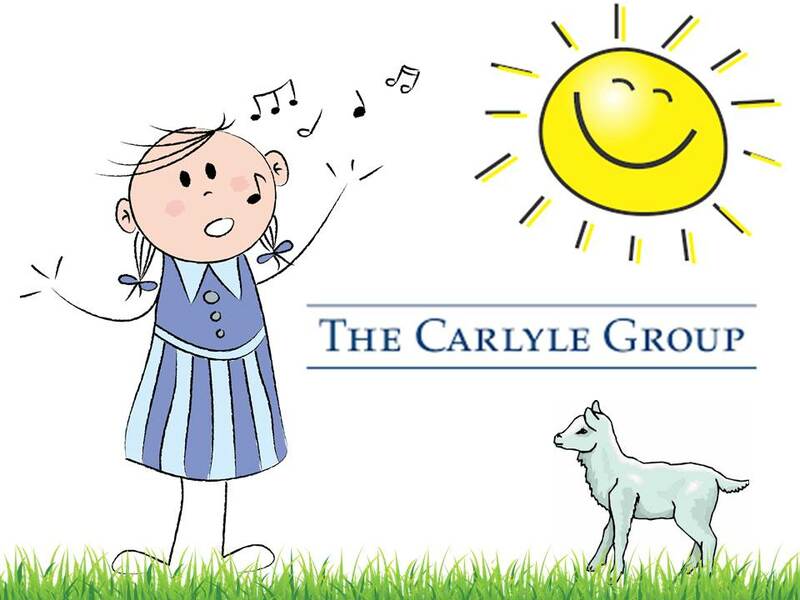 Carlyle's highly leveraged mortgage backed securities vehicle Carlyle Capital Corporation (CCC) entered bankruptcy in spectacular fashion in March 2008, a full six months before Lehman's failure. I believe August 2007 occurred before September 2008. ... an email sent by (Carlyle co-founder William) Conway to CCC chief executive John Stromber on August 14, 2007—a month after CCC had gone public and as the mortgage bond market continued to spiral further out of control. 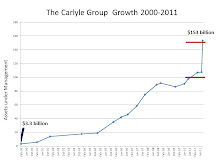 Carlyle distanced itself from CCC after it imploded. As for Horbach's "unpredictable" assertion Carlyle knew things were going to hell when it asked part owner CalPERS for $681.3 million in capital calls in 2008. Who doesn't love a history rewrite? Some historians would quibble and say the (LBO-PEU) industry's origins date back much further, though not in any stance like today. It had long been accepted that slaves could be seized for debt, but Jefferson turned this around when he used slaves as collateral for a very large loan taken out in 1796 from a Dutch banking house in order to rebuild Monticello. He pioneered the monetizing of slaves, just as he pioneered the industrialization and diversification of slavery. Thomas Jefferson levered slaves, which makes him a PEU forefather. Greed is as old as human selfishness and insecurity. Private equity is the master. Returns and image are all that matter.